Are you ready to make snacking fun, engaging and a great learning experience? 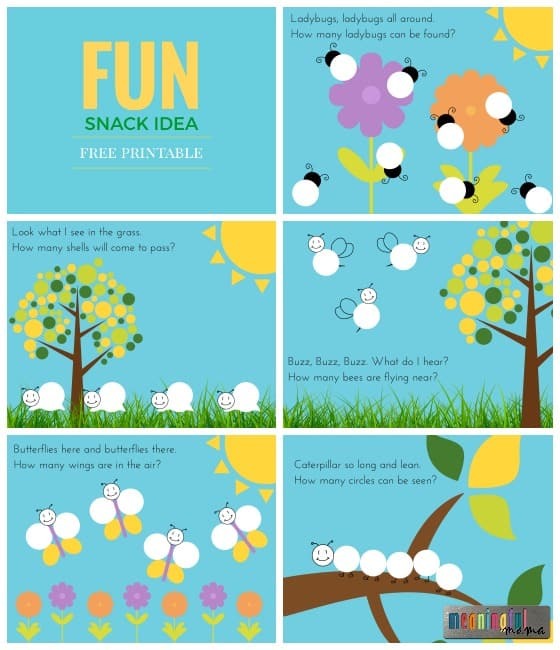 This fun snack idea with printable will make snacking enjoyable and educational. I think your kids are going to love them. You may have already engaged in snacking fun with my Cow Flipping activity, but today I get to bring you more. Horizon Organics wants to help make snacking a creative experience. They already make a tasty product that my kids love, but they want snacking to go beyond the food. The concept is to foster imagination and build confidence and curiosity in our kids through the snacks they eat. 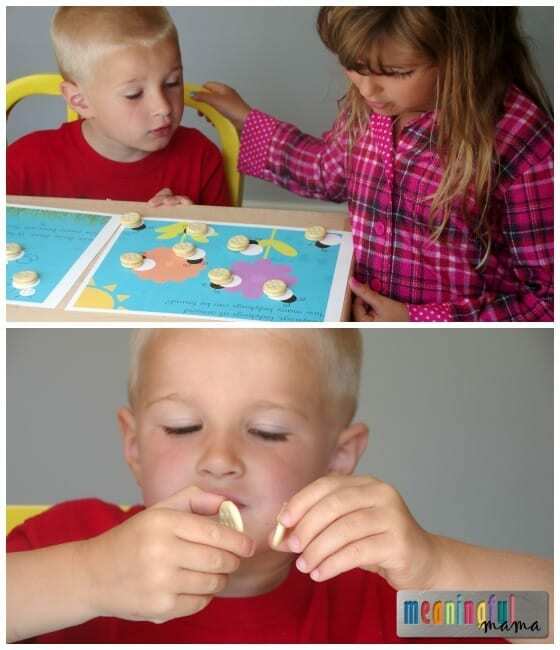 This set of five printables are provided for free and will turn snack time into a combined learning and play time. Who says food can’t be fun? 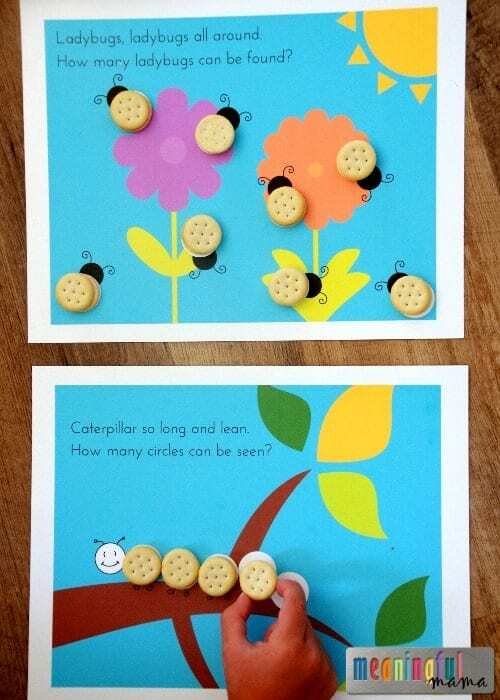 All you need to do is print out the free counting bug printables provided. Make sure to print them out, selecting “scale to fit” so the borders end up correct on your printer. If you want to use these over and over again or even turn the into a placemat, I would encourage you to laminate them. 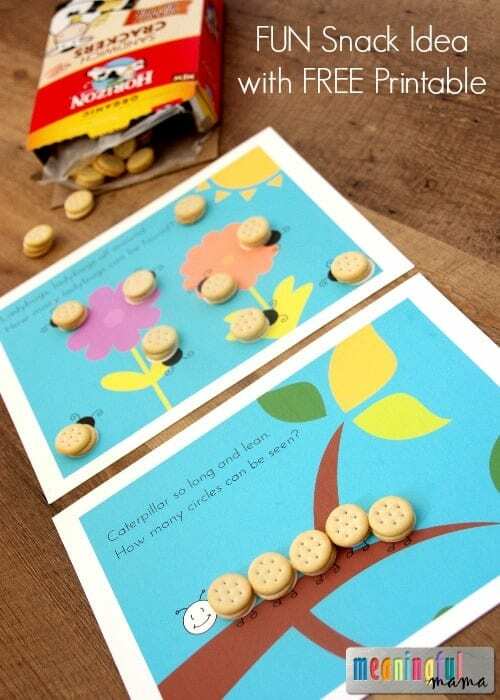 You or an older child can read the poem on each page and then the kids can add the crackers and engage in the counting fun. My daughter was able to read the poems to my son, and he was able to count out the numbers of crackers he added to the printable. Even though this counting activity is aimed for preschoolers, it was a great way for my 6 year old to practice her reading. My older daughter loved doing the cracker activity too. My son loves to twist the Horizon snack crackers apart and eat out the peanut butter or cheese (depending on the variety you’ve purchased) and then pop the crackers in his mouth afterward. To keep in the loop about Horizon Organic products as well as ideas for creative activities with kids, I encourage you to follow Horizon on Facebook, Twitter, Instagram and Pinterest.